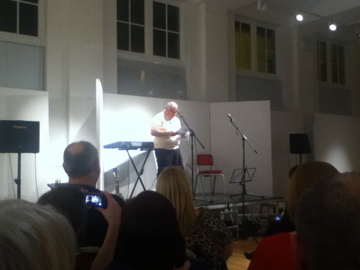 Craigmillar hosted a packed event last night, where many poets entertain a happy throng. Where Edinburgh Inky Fingers and Craigmillar Writers Group hosted a very lively evening. Tyne and Esk writers group came, As did Kenny MacAskill MSP, Minister of Culture, Donald Smith of The Scottish Storytelling Centre introduced the event. The Compiere was fantastic, as where the range of poets. A fantastic night. What a great start for WCAD 2012. Next we will see it on Yotube.